1 Month YES supplements - Yes EFA Parent Essential Oils Capsules, Daily Mineral Supplement and Herbal Formula. Capsule formulas. YES™ PEO's are the ideal way to supplement the precious Parent Essential Oils Capsules everyone requires, but you may be lacking due to food processing. Your body cannot make Parent Essential Oils; they must come from food and all of your cells need them to function properly. Unfortunately, most food processing destroys these delicate oils and the results can be disastrous. The Yes EFA capsule formula is based on the Brian Peskin formula designed to give natural energy, satisfy vegan standards, and is used by many cancer patients during radiation treatment. Minerals are an effective way to replenish some of the essential minerals that Nature intended for us to receive on a daily basis, before commercial farmers and food processors ruined them. Minerals are technically termed co-enzymes and they help vitamins work much more efficiently.Capsule formula. Herbal is the ideal optimizer/cleanser to help minimize the negative effects of harmful food additives. One order, one month supply of the Yes Supplement line in the capsule formula. All original Brian Peskin original formula suggested monthly supplements. Formulated to work together to satisfy your Omega, Herb and Mineral daily requirement. I have received the YES™ PEO's I ordered (5 bottles). I started taking them immediately along with my husband, & 2 of my 4 kids (age 14 & 8) who have different health concerns. 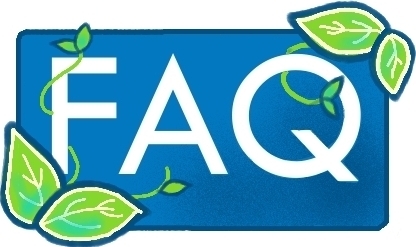 Yes Frequently Asked Questions (FAQ's). One Month Supply: All original Brian Peskin original formula suggested monthly supplements. Take by label directions for one full month.